But where are you going to get so much money from? It’s not like you’re going to get a big raise anytime soon (or maybe you are – if so, congratulations!). No close relatives have recently passed away, so you’ll probably not inherit any cash anytime soon. So how are you going to fill up that wallet? It’s easy—just come to Pawn Big Palmdale . 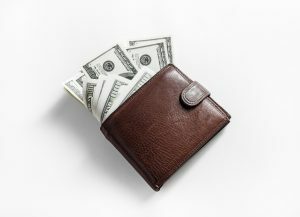 Start 2018 off right with a wallet full of cash when you come to Pawn Big Palmdale . Simply bring a piece of jewelry that you no longer need or want and you can walk out with hundreds or perhaps even thousands of dollars within minutes. It sounds too good to be true, but it really isn’t! Platinum (No matter what its age or condition may be, you’ll get top dollar at Pawn Big Palmdale . Come to Pawn Big Palmdale today!